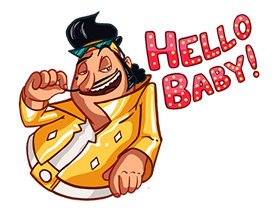 http://www.line-stickers.com/ – Disco Meri Jaan Line Sticker | Main Ek Disco, Tu Ek Disco, Duniya Hai Ek Disco. Download Disco! Next post He-ey, this is Maria Way!